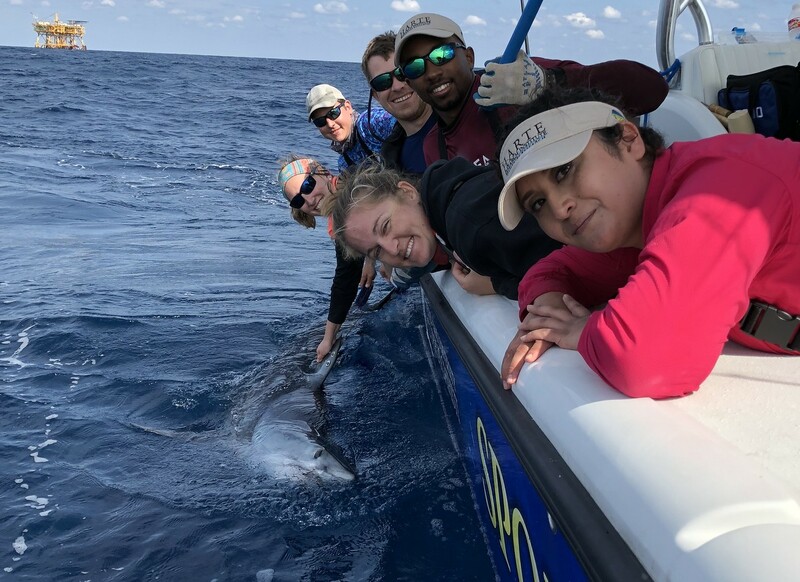 CORPUS CHRISTI, Texas – Researchers at the Harte Research Institute (HRI) for Gulf of Mexico Studies’ Center for Sportfish Science and Conservation continue to unlock the mysteries of shark migration. Pico, a 7.5-foot, 181-pound male Mako shark tagged by the Sportfish Center in March 2018 astonished scientists as he swam more than 4,000 nautical miles from the Western Gulf of Mexico, around the tip of Florida and up the Atlantic Coast. He’s the first shark tagged by the Sportfish Center to leave the Gulf of Mexico. 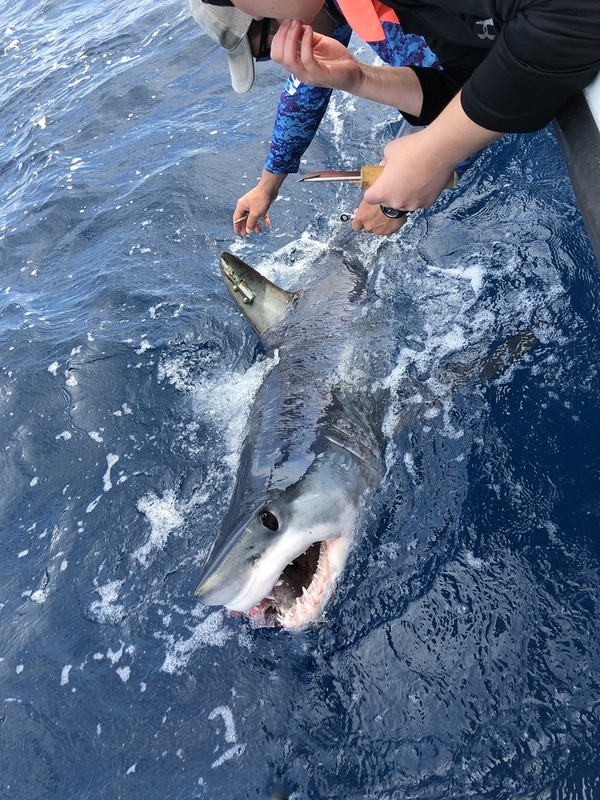 The Sportfish Center uses state-of-the-art satellite tags that send a signal with the shark’s location every time the tagged fin surfaces, allowing sharks to be tracked in real time. In just over two weeks, from July 13 to July 31, Pico migrated 2,052 nautical miles up the Atlantic coast and last pinged off the coast of New Jersey on August 6. Scientists still have a lot to learn about sharks’ day-to-day lives in the ocean, and this is especially true of the Mako shark, whose speed and lengthy migration paths make them a challenge to study. Mako sharks can reach speeds of up to 60 mph and are one of the fastest fish in the ocean – Pico confirmed that ability by traveling as much as 156 miles in 72 hours. HRI Doctoral Student Kesley Gibson, who studies the migration of Gulf sharks for her dissertation research, said it was originally theorized that Makos in the Gulf of Mexico and along the Atlantic coast kept to their own waters and remained separate populations that sometimes intermingled in the Caribbean. Pico may be challenging this assumption. “We also thought larger Makos kept to the open ocean, but now we’re catching 11-12-foot Makos in the Gulf of Mexico,” Gibson added. 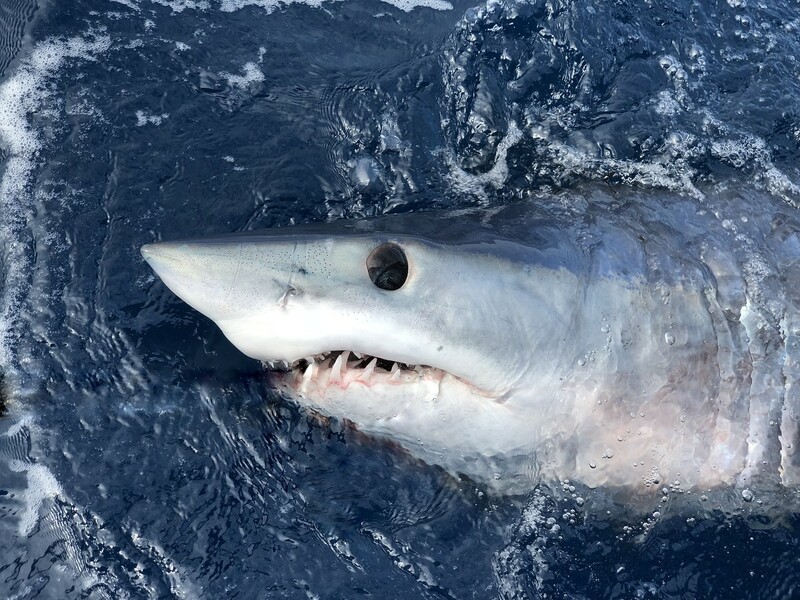 Pico is not the first Mako shark tagged by the Sportfish Center to make surprise moves. Harvey, a Mako shark tagged by the center in April 2016, shocked scientists by taking up a sudden migration from the western Gulf of Mexico to the Caribbean Sea, where he appears to spend his summers. Scientists were able to document two complete migrations with the help of Harvey’s tag, watching him leave the Gulf in late summer and return in the fall. 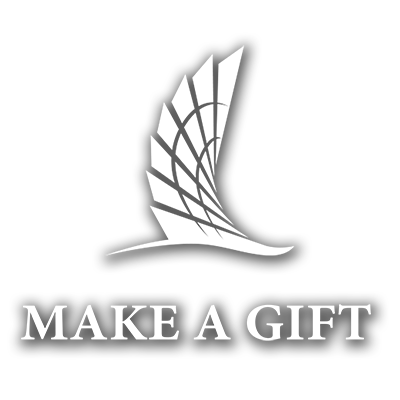 The Sportfish Center has tagged more than 5,000 sharks in the Gulf of Mexico with the help of volunteer fishermen. Follow Pico and other tagged sharks around the world by visiting the “Meet Our Sharks page” at SportfishCenter.org or by downloading the OCEARCH Shark Tracker app for iOS or Android.